XPO² is a revolutionary charity crowdfunding platform driven by Net Social Impact. XPO² is a cause-related technology marketing company on a mission to disrupt fundraising. A virtual High-5 from the XPO2 team, as an added bonus we’ll send some excellent karma your way. Thank you so much for your donation, we can’t do this without you and every dollar makes a difference! Become immortalized by having your personal or business name published on the “hero page” on the XPO2 web site, we’ll even include a direct link to your site or social media profile! Receive reward #2 + a Special Edition XPO2 T-Shirt. Show your support for a better world by supporting a unique XPO2 shirt only available through this crowd fund. Receive all of the rewards mentioned above + a limited edition collector Card, you will receive one of seven unique XPO2 avatars that represent the causes we’re trying to help. Each comes printed on the highest quality stock and has a hand crafted avatar that will remind you of the positive impact you’ve made for years to come. These cards are limited in number and only available during this crowd fund so don’t miss your chance! Receive all of the rewards mentioned above + our entire set of limited edition collector Cards. You will receive all seven of our unique avatar cards printed on the finest stock as well as a special edition 8th card limited only to those who participate in the 5th reward level or higher. Receive all of the rewards mentioned above + a personalized “Thank you” mailed to you by a child from a Samburu tribe in Kenya, printed on a custom greeting card. Receive all of the rewards mentioned above + a custom PR and marketing package worth $2,500 in advertising equivalency. This package can be used for yourself or your business. Please inquire about details. Receive all of the rewards mentioned above + a custom PR and marketing package worth $10,000 in advertising equivalency. This package can be used for yourself or your business. Please inquire about details. Contribution Level Get a (Virtual) High Five!Become a HeroShow Your True Colors With An XPO² ShirtGotta Collect 'em AllHold all of the cardsThe Gratitude Of A ChildShout Your Support From The Rooftops!The World Will Know Your Name! Our goal is to positively impact the lives of 1 billion people over the next 5 years! That’s why we are reaching out for your support. The Morani Preserve is dedicated to supporting the lives and habitat of the Samburu tribe in Central Kenya while helping them protect over 400 endangered species.. The Bully Rehab Awareness Gym’s mission is to empower victims (children) of dominance behavior (bullying) to be resilient and respectful through the art of the gentle way, while healing and understanding the offender..
Big Cat Rescue is one of the world’s largest accredited sanctuaries for exotic cats, and has been a leading advocate for ending the abuse of captive big cats and saving wild cats from extinction for the past 26 years. The Cara Girls Rescue Centre near Nairobi, Kenya, is an amazing establishment that rescues and nurtures victims of sexual abuse and sexual mutilation. Along the way, we realized that for our ambitious social-change efforts to succeed, we needed to build a tailored approach that works on a massive scale. So we decided to build a large-scale, swing-for-the-fences platform that would position itself on the front lines of social change and provide local people with the tools they need to improve their own lives, because we are as frustrated as you are with the inefficient proliferation of siloed change efforts. We believe that a solution that does not perform at the scale of the problem is not a real solution. We also believe in the ultimate triumph of David-versus-Goliath and that cracking this nut is possible. Providing deserving yet cash strapped organizations with a turnkey, fundraising solution, at no cost to them. Assisting those same organizations with enterprise level strategic marketing support to ensure they reach their objectives. And the most exciting news is, the XPO² platform is ready to scale today. We are working to disrupt fundraising, create meaningful change and empower local communities. Read on to find out how you can get involved! How can we restore donor trust and make sure the right organizations can secure adequate funding to support their amazing social impact? In one word: XPO² . XPO² is a complete marketing and fundraising solution designed to address the many friction points small to medium sized nonprofit organizations face when trying to raise the financial resources they need to operate efficiently. As a complete end-to-end solution for nonprofit fundraising XPO² offers the opportunity for high value community organizations to streamline cash donations while at the same time capitalizing on the global e-commerce revolution. More than just a platform, XPO² provides carefully vetted organizations with the strategic marketing and public relations expertise employed by enterprise level corporations. Because so many of the world’s most important community organizations struggle to survive, our solution offers a vital lifeline that allows NGOs to focus on the work they do best without having to struggle to meet their development goals. We help to take power away from large efficient multinational NGOs who don’t have the cultural or practical knowledge to solve specific local problems. Instead we ensure that local organizations who are willing to take real risks get the funding they need. Your support of XPO² will allow us to reach our goal of helping over 10,000 nonprofit organizations around the world by the year 2023, and positively impact the lives of 1 billion people in the world. We would never be able to do this without you! XPO²‘s Cashless Contribution platform revolutionizes online shopping by allowing consumers to shop as normal while also raising much-needed funds for their favorite organization. With XPO² Cashless Donations, you simply download a browser extension and a percentage of your online purchases are automatically credited to the organization of your choice – at zero cost to you (the merchant pays for everything). Now you can contribute money to causes around the world simply by shopping at the same top retailers your family already uses. Help protect the environment, take a stand against bullying, safeguard endangered species, and ensure that children have access to a proper education simply by shopping online. By downloading the XPO² Cashless Donation extension, you can immediately start raising money for organizations committed to net social impact. XPO² is a social enterprise. We believe that if more businesses practiced corporate social responsibility, the world would be a better place. This is why we offer complete, tailor made solutions to help businesses work more closely with the environment and people they interact with. Our corporate solutions offer scalable strategies that help businesses succeed while being like responsible corporate citizens. 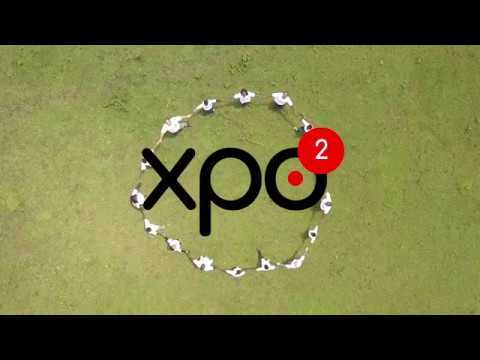 XPO² is the dawn of a new type of business, heralding the dawn of a new type of world. Join us today and help us enact meaningful change! But we need your support as without you, our impact will be limited! By participating in our Rewards Crowdfunding Campaign, you are helping us support crucial, high-impact community organizations located around the world. Organizations like the the Tumutumu School for the Deaf in Kenya. The Tumutumu School for the Deaf is the only educational resource for children with developmental disabilities in the entire Mt. Kenya region. Organizations like the Wildlife Waystation in Angeles National Forest just north of Los Angeles, California. The Wildlife Waystation is a wild animal rescue and sanctuary home to over 400 wild and exotic animals from 100 species. A well-groomed lion waking up from a nap at the Widlife Waystation nearl Los Angeles, California. Organizations like the Truyen Tin orphanage in Ho Chi Minh City, Vietnam. The amazing nuns of Truyen Tin have saved hundreds of kids’ lives over the past 30 years while providing them with scholarships and a loving family they would never found had without them. Build and market the largest fundraising platform on the planet – under the XPO² brand – and raise billions of dollars for amazing causes via direct consumer donations. Onboard 10,000+ influencers to help us spread the word and reach well over 1 billion people over the next 5 years. By 2023, we aim to support over 10,000 community organizations and protect our environment, strengthen our communities, and be on the front lines of social-change for the 7.6 billion people on Planet Earth. The size of our ambition can only be matched by the passion of our perspective: by supporting worthy organizations committed to achieving the highest net social impact, we are having a transformative impact on the word we live in. How can I be assured that you guys can pull this off… where many others have failed?